Everything I read about Bahla keeps making mysterious, veiled references about the city’s links to djinn and black magic, and yet, frustratingly, I cannot seem to find out anything much about it. Nor did I see a single djinn while there, though they are apparently very good at concealing themselves. An Egyptian friend told me once that if you ever see a person in a crowd, and when you look back they’ve vanished, it means that that person was a djinni – so possibly I am seeing them all the time; I’m just unaware of them. My taxi driver for today was Ali, a very kind man in his fifties, in whose taxi I had engaged before I got close enough to see quite how alarmingly crossed his eyes were. I am not sure quite how much he could actually see; certainly not the various speed bumps, all of which we rocketed over at high speed, and at the end of the trip, when he programmed his number into my phone, he had to hold the screen only an inch or two from his eyes. However, who says you need good eyesight to drive well? 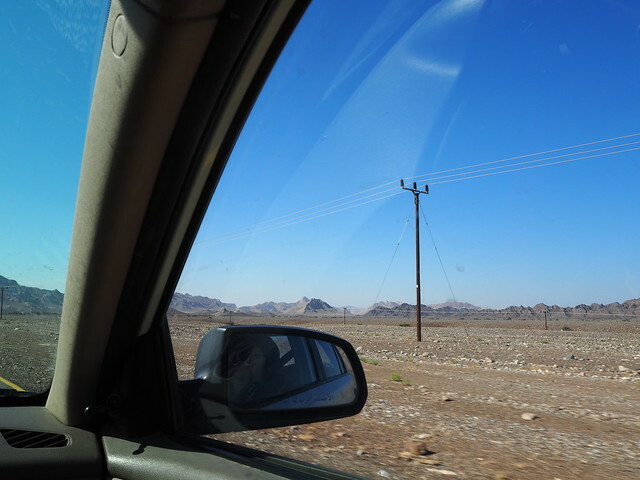 Roads in Oman are generally long and straight and traffic is sparse, and Ali was nice enough that I will probably use his services again, provided we would be driving in daylight. 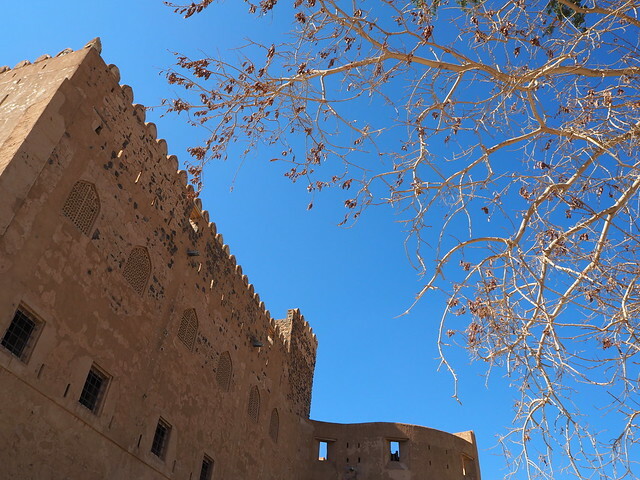 Today’s trip took in Bahla and Jibrin, and then an unsuccessful attempt to visit the UNESCO-protected beehive tombs around the villages of Bat and al Ayn, which, unfortunately, no local seems to be able to locate. We spent nearly two hours bumping down back roads, asking various people for directions and being pointed this way and that with great certainty. 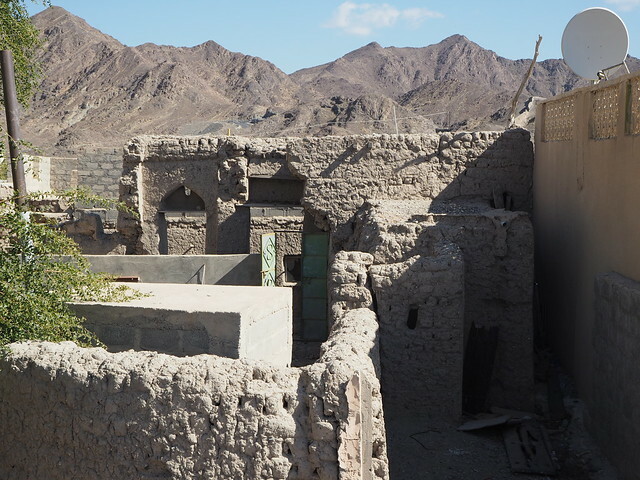 I am fairly sure that we were in the general zone, and I may have even seen a tomb or two on top of a hillock, though from a distance they’re hard to distinguish from less intentional piles of rubble. In any case, it was a beautiful drive, through the sort of stark, mulicoloured mountains at which Oman excels – Jebel Misht (“Comb Mountain” – aptly named) was a particular highlight. Ali says he will ask around and perhaps we can try again to find them another day. Narcopolis, rather unexpectedly, reminds me a lot of Teju Cole’s Open City (which I loved); it has the same dreamy, wandering quality to it, and is peopled with a similarly varied cast of characters, time wavering between the novel’s present and its past. It also makes me want to visit Bombay again (which I visited once, year ago, for a friend’s wedding, and did not spend nearly enough time there). Troublingly, the more I travel and the more I read, the longer my list of places to go and books to read become.